Another few weeks has passed by, and we’re still in the marina. The primary focus has been on the generator, but there are three other contractors engaged as well. In fact, all four jobs are underway. We don’t expect to leave here until late February. 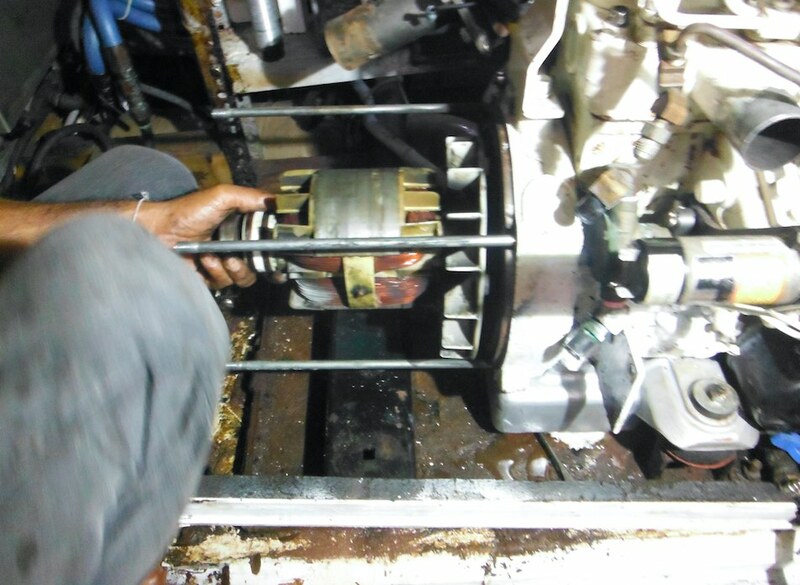 Damien and his crew from Electrical Marine have come by and extracted the alternator (rotating electrical part) from our ONAN generator. 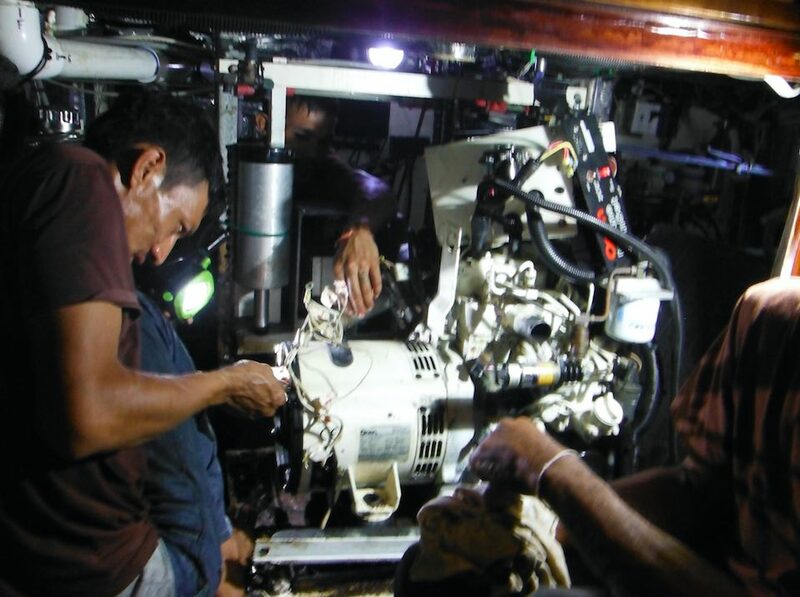 Remarkably, three guys were in the engine room area (one in the head) working on this generator at the same time. It was tough for me to squeeze in and take a photo! 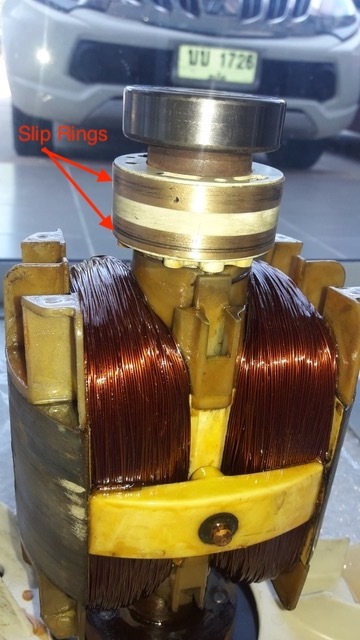 After extensive bench testing, the wiring of the stator and rotor was found to be sound, but the slip rings need to be changed. Also, the voltage regulator failed static testing, so that has to be changed as well. Parts have been ordered and are on the way. In addition to the generator, I thought I’d bring in the Volvo dealer to look at a small seawater leak with the heat exchanger. 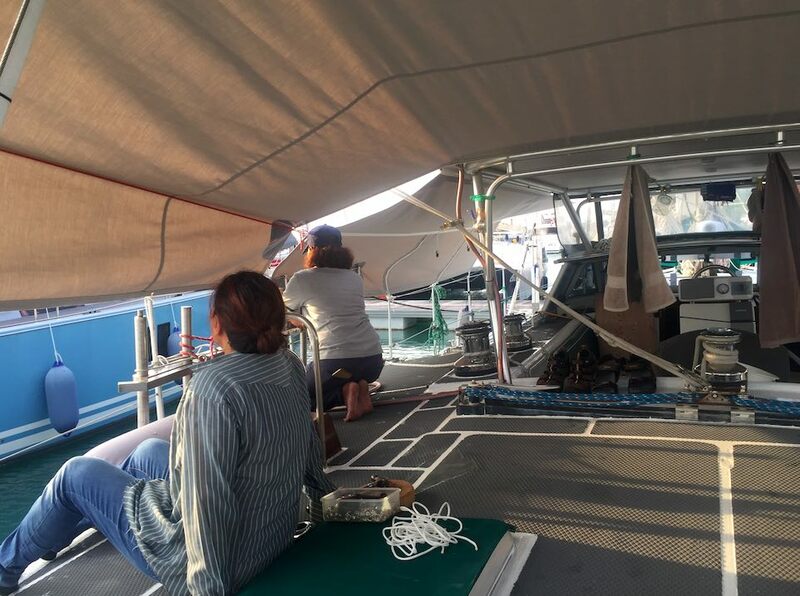 In the process of removing the heat exchanger, he discovered that the oil cooler was leaking oil into the bilge, so that needs attention as well. So, the Volvo has been taken apart and is waiting for PME to return. 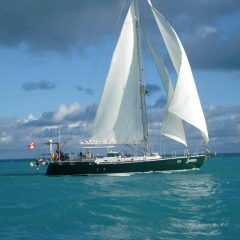 We brought in Pla and her crew from Marine Canvas to replace our sunbrella sun shades. Diane made these many years ago, but we have twice coated them with waterproofing and its time for them to be replaced with new material. This time, we’re going with grey, so our external “canvas” will be a mixture of green and grey sunbrella. Graeme from “Stem to Stern” had one of his mechanics come by and pickup our Tohatsu 18HP outboard. 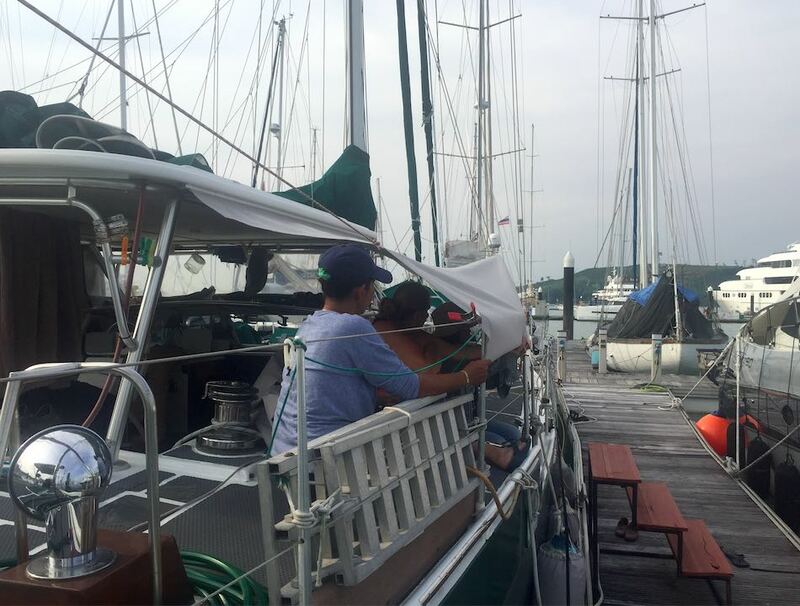 Although we did have it serviced in Pangkor, it starts “hard” and runs poorly. 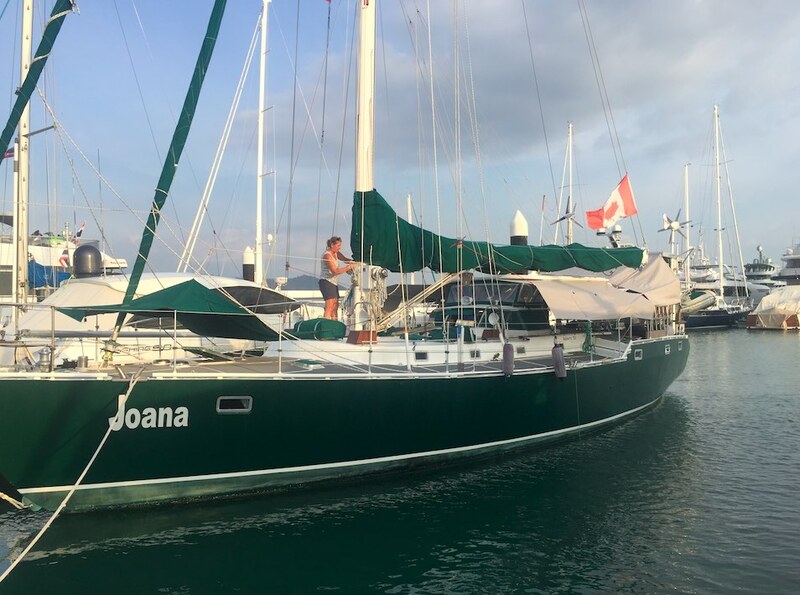 I was sure it just needed a tune-up, but we also turned in the gas tank – and he came back a few days later and said he found a litre of water in the gas tank! So that’s that. We haven’t been up to much else here. We are travelling to Bangkok and Chiang Mai for some genuine touring next week. We made a few scooter trips to grocery stores and hardware stores. Phuket has some great hardware stores and the chain “Home Pro” is as close as you’ll get to Home Depot in SE Asia. 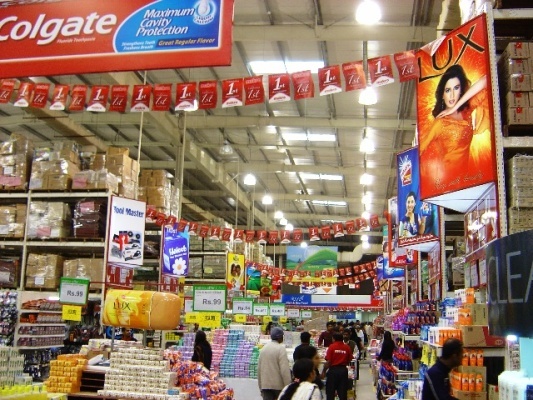 We’ve also been to some very large expat style grocery stores; Makro, Tesco’s and Villa Market. This is where we find large blocks of cheese, salsa sauce and other difficult to obtain “essentials”. 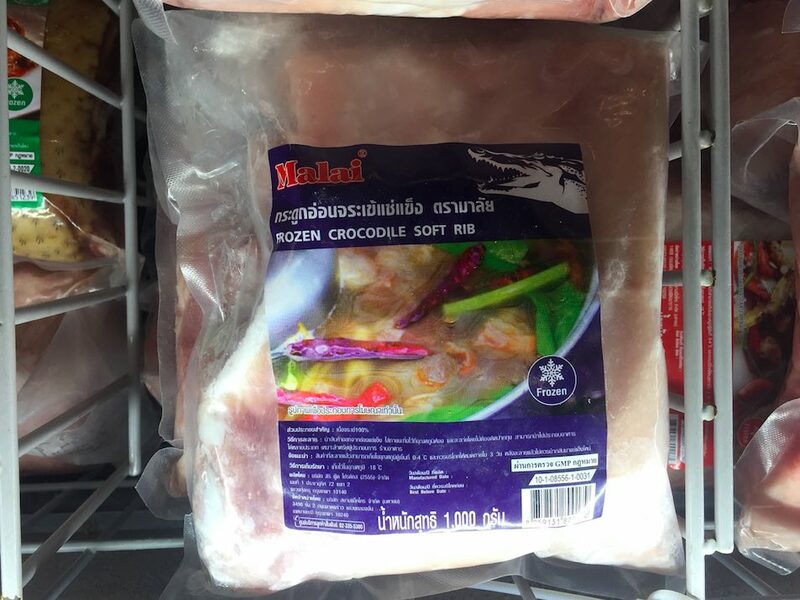 In addition to the Western food we like to pickup, there are also some other items, like this crocodile meat in the freezer. How about these frozen caterpillars? In Malaysia we were always surrounded by palm trees (palm oil), but Thailand is the rubber production capital of the world. When out on the roads – we drive by rubber tree plantations, most of which are privately owned by about a million farmers, accounting for four per cent of the country’s gross domestic product (GDP). The first practical use of latex and rubber from trees came in the form of… an eraser. Since then, chemists have found different ways to process latex (from the tree) and rubber and whether we realize it or not, we are surrounded by products which contain this naturally occurring material. 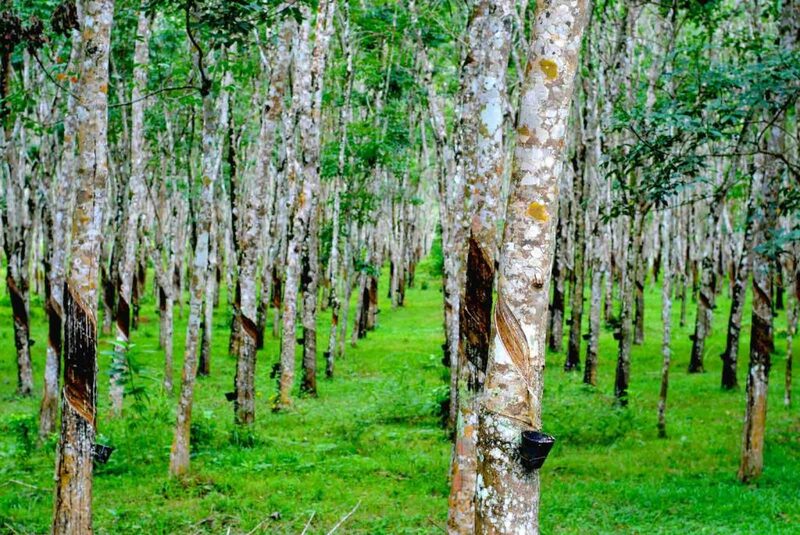 The rubber tree plantations are fairly small and there are thousands dotted across the country. Rubber factories buy their material from several hundred latex-dealers that buy direct from the farmers. In turn, the factories sell to a global market of around 450 customers that range from tire factories to trading houses that supply various other industries. Currently, the only competition to natural latex and rubber is a chemical version synthesized from crude oil. According to the Rubber Manufacturers Association, more than 70 per cent of all rubber that hits the market today is synthetic. I’ve read that in Phuket rubber plantation owners are including tours in their revenue model, so rather than fighting tourism – they’re joining in. There is a large market for the wood from the rubber trees as well, so Thailand can be proud of this sustainable resource. 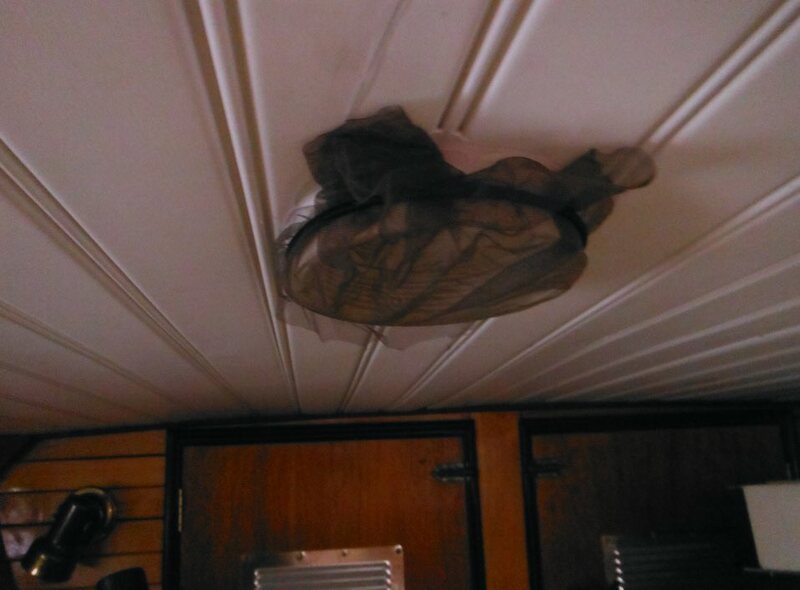 In response to Jimmie Thom’s bug bites that he suffered a few weeks ago, we decided to install even more mosquito screening, this time in the two deck vents in the forward cabin. They’ve never been a problem before, but we’re always interested in making improvements. 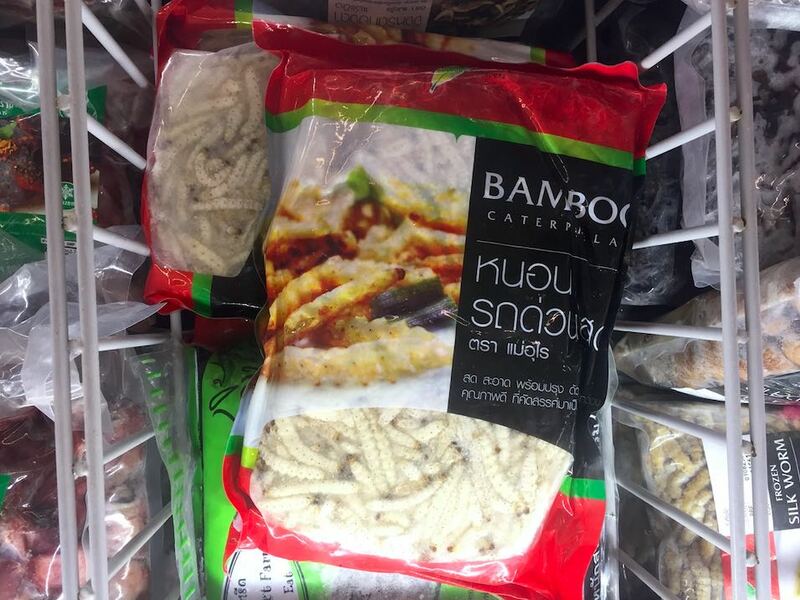 We’ve both been enjoying Thai food, eating out 3 times or more per week, but Diane has to be much more careful than I do with the spice content. Google tells me that generally speaking, the hottest Thai curry is the Thai Green curry, followed by the Thai Red curry, then the Thai Panang curry, then the Thai Massaman curry with the mildest Thai curry being the Thai Yellow curry (although the Massaman curry is sometimes milder than a Yellow curry, depending on the recipe). I’m sure that I’ve had them all. 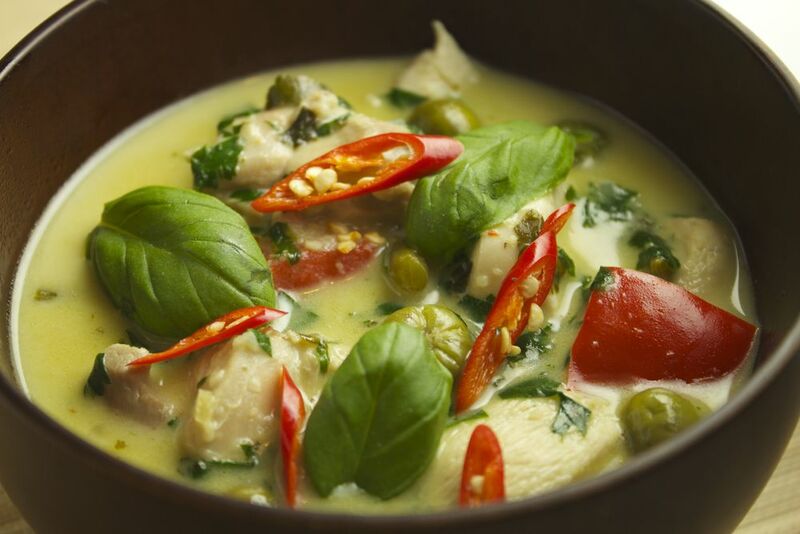 For years, my favourite Thai dish has always been the Thai Green Curry. However, since arriving in Phuket, I have really come to enjoy this Massaman curry, one of the milder Thai curries. 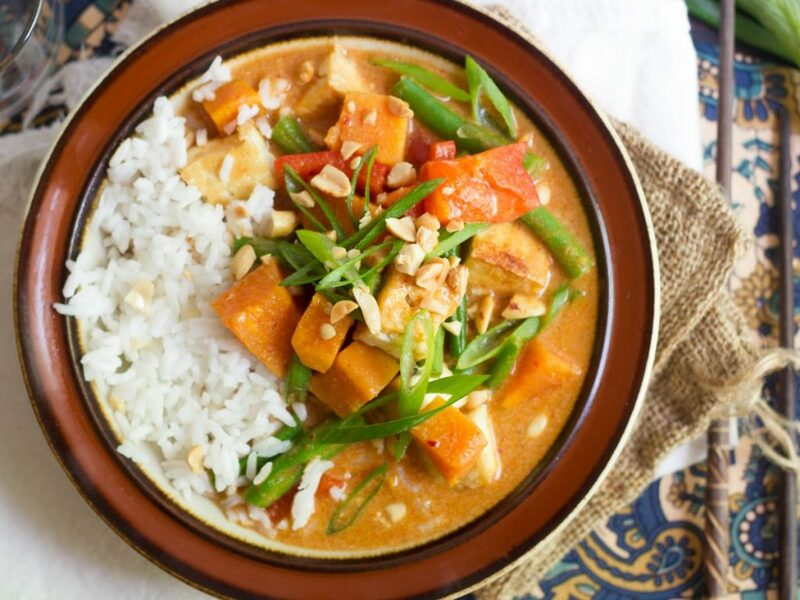 It’s a nice blend of sweet and spicy, and the coconut milk adds a very tasty touch of creaminess to the curry. There are variants that have chicken, beef, pork or even vegetarian – but for those people on the Keto diet, I think you’re SOL. Its great to be in the country of origin and eating this food! Hi, wouldn’t Tita have loved reading this blog entry! My take on it is that the clock .. other than for a noon sight.. is not important, or a calendar. Congrats sounds like you are free of the western world. Parts will arrive sometime. Keep posting. I love it. Corning – I have the Voltage Regulator in hand and will have the slip rings tomorrow. Yes, you’re right, its only a calendar. No worries!